Not a game you hear about too much…certainly if your casino escapades are limited to Las Vegas. 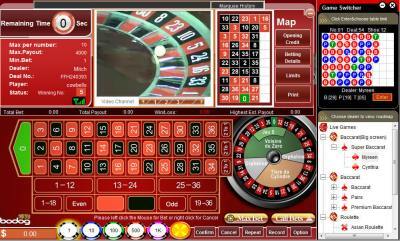 Asian Roulette really isn’t that dissimilar to European Roulette. 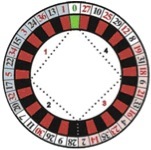 Both the table and wheel consist of the number 1 to 36 and a single zero, however the ordering of the numbers on the wheel is very different. Arising out of this order difference is a set of different grouped bets that may be placed playing Asian Roulette. 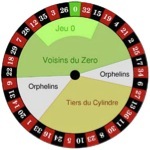 Set out below are sample wheels from both versions of the game.